New Zealand head coach Steve Hansen reveals he regularly contacts England boss Eddie Jones and says Jones has every right to feel confident ahead of Saturday's Sky Live game at Twickenham. Steve Hansen says Eddie Jones will not be feeling the pressure when England face the All Blacks at Twickenham on Saturday. "Talking to Eddie, I know he and England are very excited about this game, and we are too," Hansen said ahead of Saturday's Sky Live game. "First and foremost you've got to have some form of relationship that allows you to get on with each other. You don't ring people up you don't like, just because they are doing the same job as you. "So it probably indicates I like him and he might like me; I don't know. The bottom line is we talk, our wives talk, and that's not surprising. I think he's a good bloke. "The only people that don't understand what it's like to be a head coach of an international team are the people who've never been one. England head coach Eddie Jones says flanker Tom Curry is "highly unlikely" to be fit for Saturday's Test against New Zealand at Twickenham. "There's a lot of pressure there, all the time, whether you're winning or losing. It comes just in a different wrapper. "And the expectations when you coach a top side like England are, you're expected to win, and play well. "Eddie more than anybody understands that. So he's not too bothered by it. But you know that, you know that there's going to be pressure with the job, and you accept that and you get on with it." 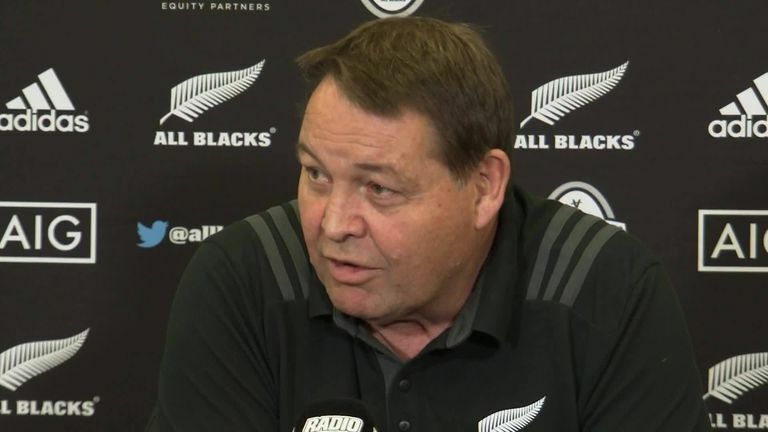 Hansen admitted Jones' experience will mean the All Blacks will still face a tough test at Twickenham, despite England's well-publicised injury problems. 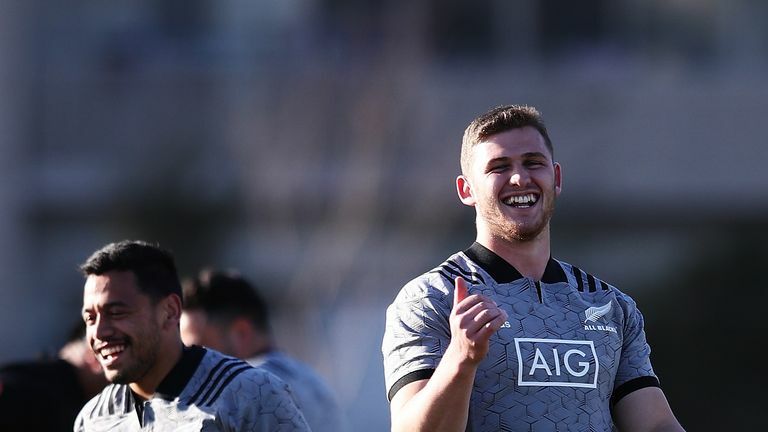 "He's got a tremendous work ethic, Eddie; he does a lot of homework and through that he will have identified some areas he'll want to try to target," added Hansen. "He's had some success against New Zealand in the past, but hopefully he doesn't get any on Saturday. "They are a good rugby team. They won 18 in a row, only one other side in the world has ever done that. So it makes them a good side." "What I think doesn't really matter. I'm not the ref and the ref made the decision based on all the information he had," said Hansen. "Referees are going to get some things right and some things wrong, they have a very difficult job. 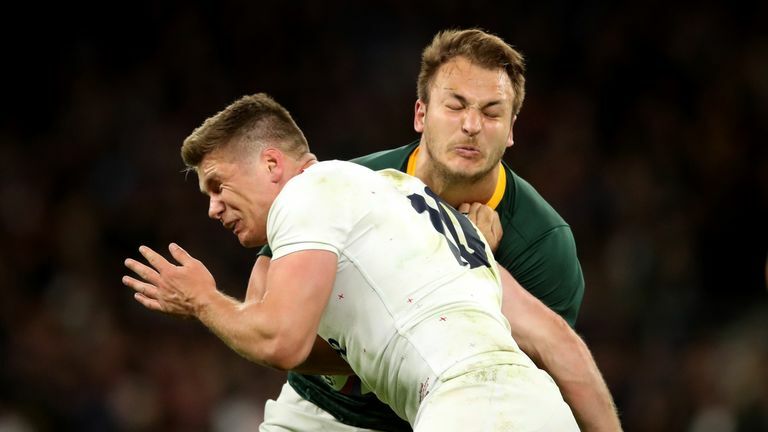 If you're South African you think it's a penalty and if you're an England supporter you probably think it wasn't. "We as coaches and players we just have to take the decisions on the chin. There's been plenty of decisions in the past we haven't necessary agreed on but you can't go back and change them. "I don't think there was any foul play intended, whether he got the tackle right or wrong was irrelevant; we just move on."